Ogle Equipment has been providing environmental solutions since 1954. We have designed, engineered and installed hundreds of applications for air quality control solutions, ranging from dust and fume control to general ventilation. 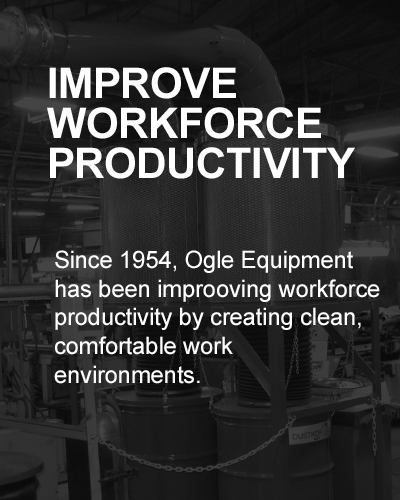 Ogle Equipment offers a variety of products for all of your clean workforce needs. Our products cover applications needing fans & blowers, dust collectors, mist collectors, air make-up units, air conditioning, air rotation units, steam coils and heat recovery. 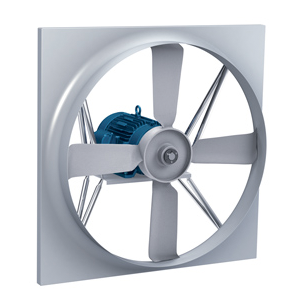 Keep the air moving in, around and outside of your plant with our air moving products such as axial fans, centrifugal fans, material handling fans and fiberglass fans. 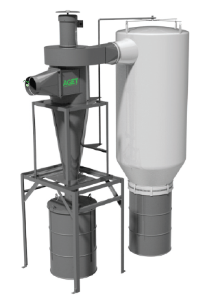 Take control of the dust and fumes inside your plant with products such as our cartridge and fabric collectors, baghouses, cyclone separators, oil mist collectors and after filters. 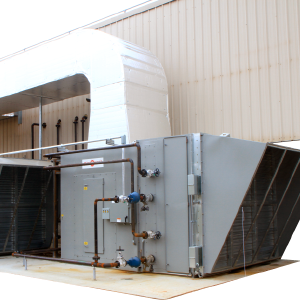 Keep your plant well ventilated with Ogle’s wide selection of ridge vents, gravity vents, gas & steam air make-up units, air-to-air heat recovery units and air rotation units. A top rated company from the aluminum recycling industry asked Ogle Equipment for help with extracting the heat from an area of melt furnances. This company melts recycled alunimum window frames and molds them into cylinders for transporting. 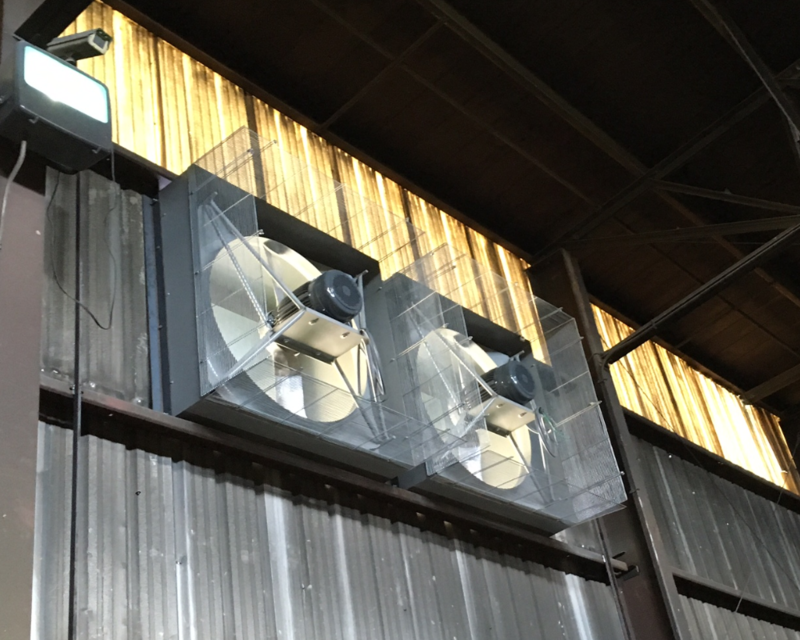 Ogle Equipment designed a roof exhaust system to exhaust the hot air and then provide fresh air to enter the area with wall fans. This system takes out 5% more air than they brought into the plant.